It's thin and powerful, but don't leave home without the charger. By the time I hit publish on this review, something interesting had happened: Dell revealed that its XPS 15 laptop was outselling the smaller XPS 13. How could that be? Most flagship notebooks these days have 13-inch displays or smaller. And for good reason: Ultraportables are, by definition, thin and light, delivering longer and longer battery life with each passing year. But, as they say, different strokes for different folks. There are indeed people out there who need more -- more horsepower and more screen real estate -- even if it comes with the slight inconvenience of a heavier design. For those folks (and Dell says there are lots of them), the XPS 15 should mostly fit the bill. Just don't stray too far from a power outlet. If you've been searching for a Windows-based alternative to the MacBook Pro, look no further than the Dell XPS 15. For a similar price, it offers comparable horsepower, a thin and light design and a brilliant 4K screen option. The one area where it really trails Apple is battery life: You won't want to stray far from an outlet unless you spring for the optional 18,000mAh mobile charger. How would you rate the XPS 15 (late 2015)? You don't put out the best Windows laptop of 2015 and follow up soon after with a radically different design. 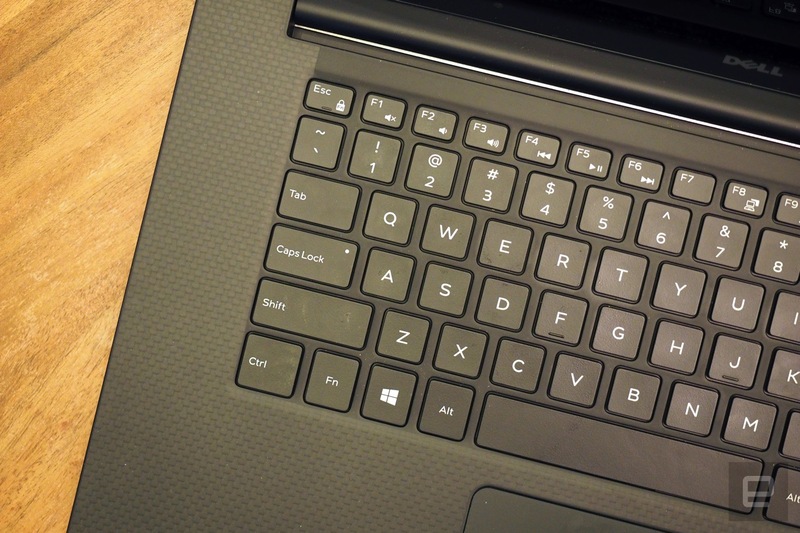 The XPS 15 keeps all of the physical attributes that made the XPS 13 great, including a sturdy aluminum frame, soft carbon fiber palm rest, comfortable keyboard and a nearly bezel-less display that allows for a smaller footprint than you'd get otherwise. For the XPS 13, that meant a 13-inch display in the body of 12-inch laptop. 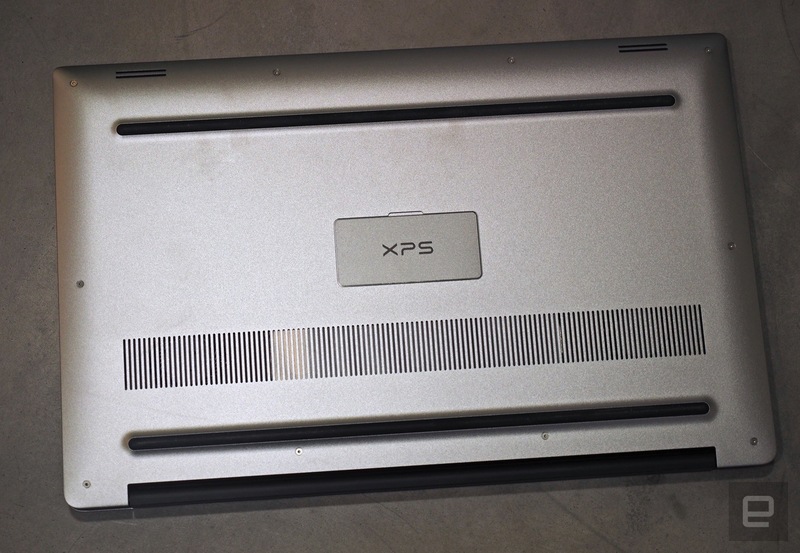 Likewise, the XPS 15 crams a 15.6-inch screen into the sort of chassis you'd normally find on, say, a 14-inch system. Indeed, I found that using the XPS 15 in my lap was a more comfortable experience than balancing HP's big-screen Spectre x360 on my legs. 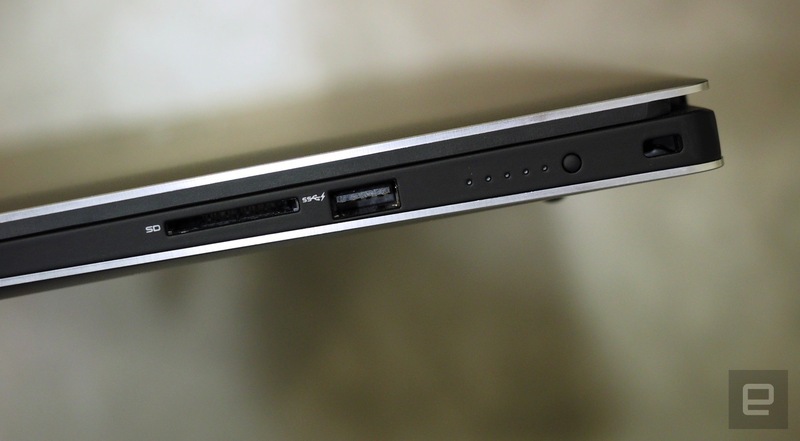 Like the x360 -- and, more crucially, the MacBook Pro it competes with -- the XPS 15 is relatively thin and light. The machine starts at 3.9 pounds, going up to 4.4 with a touchscreen, and has a tapered profile that slims to 0.45 inches thick from from 0.66. I'm not going to pretend it's as light or compact in my bag as all the 13-inch ultraportables I've been testing recently, but it still feels portable for what it is. Housed inside that slender frame is a large enough selection of ports to satisfy most power users. Over on the left, we have full-size USB and HDMI sockets, a small Thunderbolt 3 port and a headphone jack, with an SD card reader and a second full-size USB connection on the right. There's also a Kensington lock slot tucked on the right edge, up near the hinge. Like I said, Dell didn't mess with a good thing. The company might have trouble making a reliable touchpad (still does), but make no mistake, it knows how to build a comfortable keyboard. The backlit buttons here are amply sized and well-spaced. I typed not just this review on it, but also some other stories I happened to be working on. The only thing I would caution you on is the keys: Although they are springy enough for easy typing, they're perhaps not as bouncy as they look, given how much travel they have. I found at times that I had to strike the buttons a little harder than I would have otherwise, lest the keyboard fail to register my presses. If you can get over the learning curve, as I did, you'll be just fine. Now, about that touchpad. It's large, which is good, because it means you'll have plenty of room for your fingers as you scroll and pinch to zoom. But, while it's not a nightmare to use (faint praise), it has some of the problems issues plaguing many other Windows touchpads I've tested. In particular, single-finger tracking can be flaky, with the cursor not always going where I wanted it to, or taking on a life of its own, accidentally rearranging my pinned browser tabs. Aside from the thin design and the powerful internals at work under the hood, the big draw here is that 15-inch display. And yes, it has more to offer than just extra screen real estate for spreadsheets and Photoshop workflows. Though the machine comes standard with a plain 1080p, non-touch panel, it's offered with a 4K, color-accurate touchscreen -- the one I'm looking at as I type this. Between the 350-nit brightness rating and the 100-percent Adobe colorspace coverage, it's simply a lovely display. There's also software on board that remaps colors outside the RGB color range but really, I don't think you need to work in a creative field to justify the upgrade. To the extent that we all spend too much time these days staring at our screens, we can all appreciate a display this color-rich. I know I'm not looking forward to going back to my 3-year-old MacBook Air after this. That said, I could hear a little tinniness creep in on various tracks running the gamut from oldies and show tunes to classical and jazz. It's not a dealbreaker -- at least not for me -- but you'd be mistaken if you thought a big, powerful machine meant you'd also be getting big, powerful sound. In practice, my unit's 512GB NVMe solid-state drive notched impressive read speeds of 1.88 gigabytes per second, with writes maxing out an average of 598 megabytes per second. To put that figure in context, a non-PCIe SSD might top out at half the speeds for both reads and writes. The startup sequence consistently took 16 seconds from button-press to the desktop, which isn't bad, though we've seen other high-end laptops that boot just as fast or faster. I also had no trouble doing my usual multitasking (Slack, Skype, Spotify, Microsoft Word, lots of pinned Chrome tabs), but really, whoever pays the money for this kinds of horsepower will probably be doing something more graphics-intensive. I also found that although the machine got warm, I could still comfortably use it for hours in my lap, even with shorts leaving my legs uncovered. To be clear, I wouldn't necessarily recommend this to gamers, since the graphics card isn't that new, and this machine wasn't specifically built for gaming, anyway. But people running apps like Photoshop and Premiere should get the processing they need. Anyone who needs more muscle can consider a mobile workstation, but it will be more expensive and not as thin or lightweight. As with anything, it depends on your particular needs. By the time I finished my testing, I had installed one major BIOS update. (I'm currently on version 1.01.19.) In addition to extending the battery life under lighter loads (more on that in a moment), the update corrected an issue that made the XPS 15 difficult to wake from sleep. This indeed was quite vexing for me when I first unboxed the unit, but the problem has gone away post-update. I say this because I realize some readers out there may have already purchased and set up an XPS 15 of their own. If you have, head to Dell's support site to make sure you have the latest drivers. Dell says on its site that the XPS 15 can last up to 17 hours on a charge. That's with the lower-res 1080p screen, though, and a workload that mostly includes wireless web browsing. Make that continuous video playback, and the expected runtime drops to nine hours and 14 minutes. 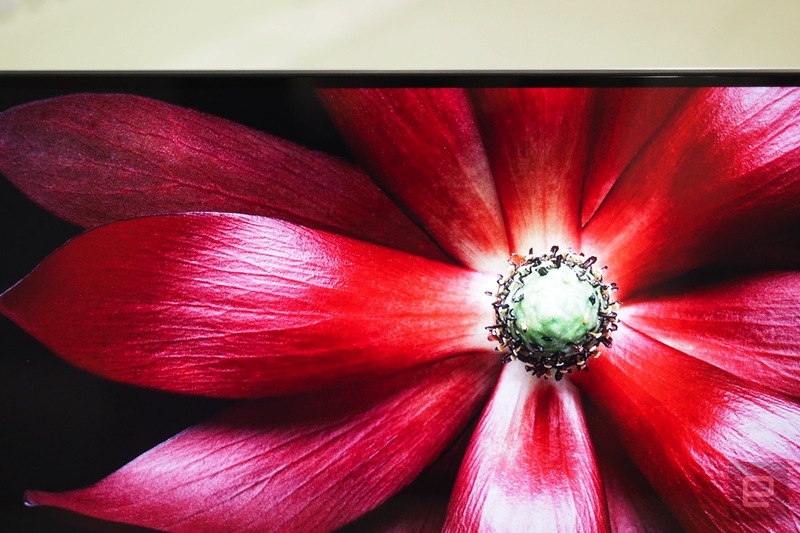 As you'd expect, too, the battery life expectations get lower when you step up to a 4K display. On 4K, which is what I had, Dell claims around 10.5 hours of wireless web browsing and seven hours and 18 minutes of video playback. I never came close to any of those estimates. 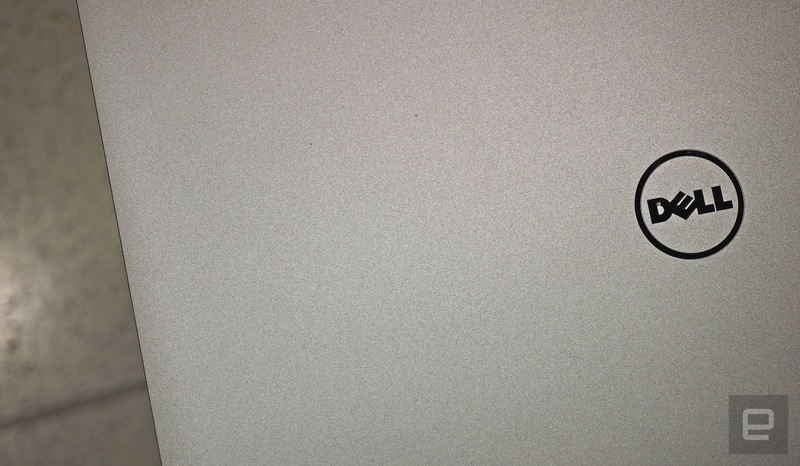 With video looping on the 4K machine, I got five hours and 25 minutes of playback. That's hardly good for a modern laptop, but it's about on par with other 4K machines specifically, including the 12-inch Toshiba Radius 12 (5:12) and the 12.5-inch Razer Blade Stealth (5:48). I'm sure one day it will be possible to find a 4K laptop with decent battery life, but that day is not now. Fortunately, Dell sells an 18,000mAh mobile charger for $120 that, in my tests, extended the runtime to seven hours and 40 minutes. It could be a worthwhile investment, then, especially since the charger's two USB ports allow you to rejuice other gadgets as well. Just be aware that the accessory weighs nearly a pound, which means some added heft in your bag. My test unit happens to sell for $2,130, but the cost of an XPS 15 can run anywhere from $1,000 to $2,850, depending on the configuration. For that entry-level price, you get some pretty modest specs, including a Core i3 processor, 8GB of RAM, a 500GB hybrid drive (7,200RPM + 32GB SSD) and a non-touch 1080p display. Discrete graphics and Core i5 both kick in the next model up, which costs $1,200. Core i7 skus start at $1,450 (that also happens to be the cheapest one with a solid-state drive). If you want 4K, those models start at $1,900. All told, the most expensive configuration on Dell's site as of this writing is a $2,850 edition with the same quad-core processor, 4K screen and NVIDIA graphics as my unit, but with 32GB of RAM and a 1TB SSD. Have that kind of money lying around? Congrats. It must be nice to be you. A thin-and-light 15-inch machine with a pixel-dense display that can be configured with discrete graphics? 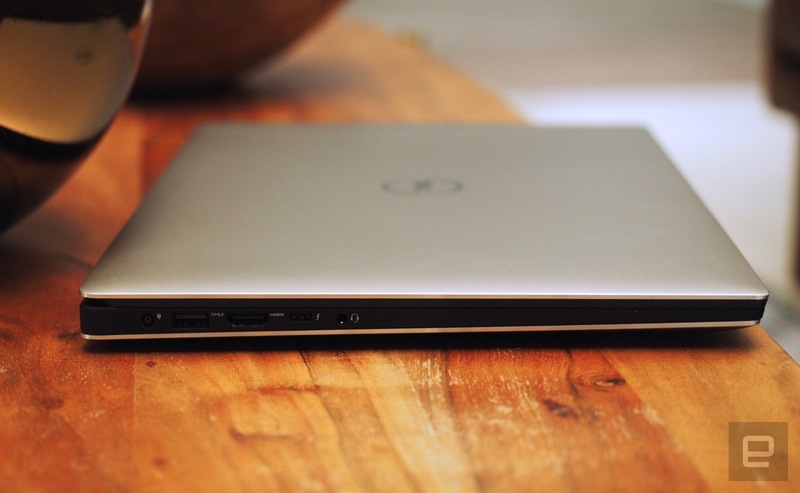 That's the XPS 15, of course, but it also describes the MacBook Pro to a tee. The 15-inch model, which starts at $1,999, weighs 4.49 pounds and measures 0.71 inches thick. At that entry price you get a 2.2GHz quad-core processor, 16GB of RAM, a 256GB PCIe SSD and Intel Iris Pro graphics, but you'll need to pay extra for a discrete AMD Radeon R9 M370X GPU and a 512GB drive. That up-sell model costs $2,499 and has a slightly faster 2.5GHz processor. If you really wanted to trick out either machine, you could step up to a 2.8GHz Core i7 CPU and a full terabyte of solid-state storage. Back in the world of Windows laptops, the HP Spectre x360 15t ($1,150-plus) also has a 15-inch, 4K-optional touchscreen, not to mention a thin and light design that comes in at 4.05 pounds and 0.63 inches thick. The thing to keep in mind there is that although it's a similar size as the XPS 15, its specs aren't any more powerful than what you'd get on a typical 13-inch ultraportable. That means dual-core Core i5 and i7 processors, no more than 256GB of storage and Intel Iris as your top graphics option. So if you need some extra horsepower to match those extra pixels, you're still better off with a souped-up XPS 15 or MacBook Pro. That said, the Spectre x360 offers long battery life with the 1080p screen, and it's also thinner and less expensive than the competition, so it's not without merit. Just skip it if you want a discrete graphics option. 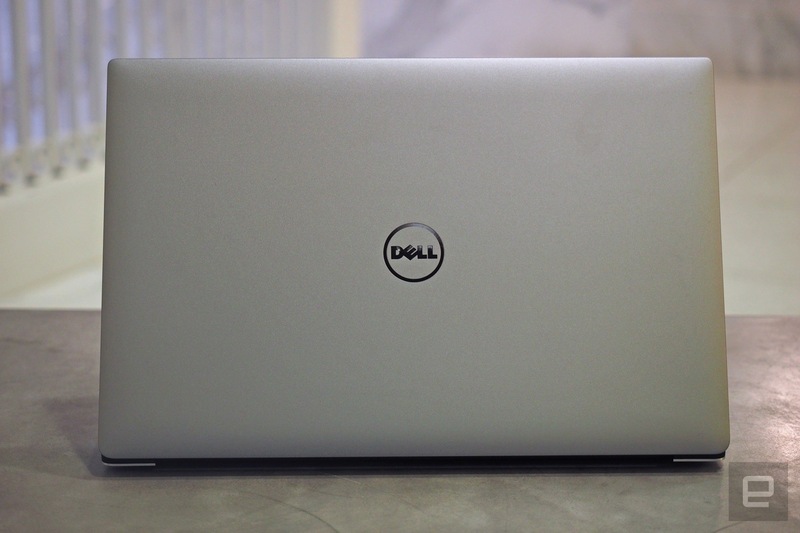 If you've been looking for a Windows alternative to the 15-inch MacBook Pro, Dell's XPS 15 is your best bet -- and I'd argue your only suitable one. It's powerful and thin and light for what it is, with a comfortable keyboard and a lovely 4K, color-accurate screen option. My only real disappointment is that the battery life is rather short -- not a surprise with a 4K display, but still a shame. If you think you'll usually be within range of a power outlet -- or are willing to spend $120 on the optional mobile charger -- you should be quite happy indeed.